“Les poissons, les poissons, how I love les poissons!” sang the crustacean-crazed Chef Louis in Disney’s The Little Mermaid. He’s got a potential new favorite bookmarked for his next visit to Orlando. 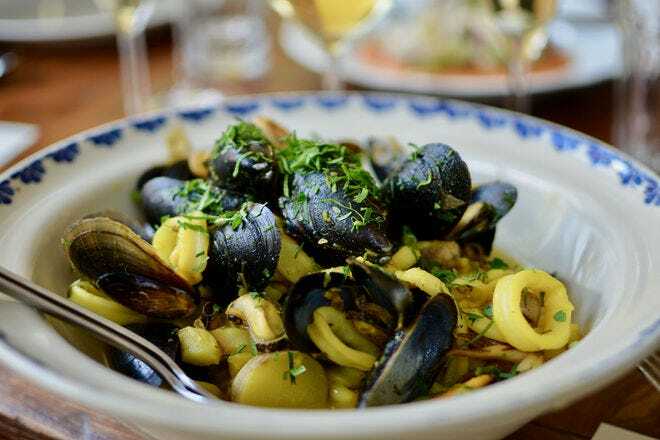 Fresh seafood; succulent raw-bar offerings; and the massive, much-talked-about, dry-aged, long bone rib chop are among the new offerings at Disney’s latest upscale offering The Boathouse, which opened its doors in spring 2015. Locals and Disney regulars have been clamoring for tables ever since. The latest in a long-anticipated lineup of new restaurants, The Boathouse is helmed by Schussler Creative – the company behind other familiar Walt Disney World venues, including T-REX Café – but it features a decidedly upmarket tilt in both fare and pricing. Market catches will figure prominently. A whopping 24,000 square feet accommodates as many as 600 diners in three well-appointed, nautically themed rooms and a whopping one-third of the space is claimed by the restaurant’s kitchen. Splendid views of Lake Buena Vista are visible throughout the airy space, as well as a number of al fresco sections for both dining, drinking and . . . driving? Among the most anticipated features of The Boathouse – outside the creamy monstrosity that is the $40 Gibsons S’mores Baked Alaska, which the menu says serves four (It can absolutely be stretched farther.) – are the Dream Boats. Yes, between the beautiful, classic car-themed Amphicars that visitors can reserve for a cruise around the lake and the comely wooden water taxi on which champagne toast cruises will take place, the restaurant’s motif stretches well beyond its terrestrial confines. 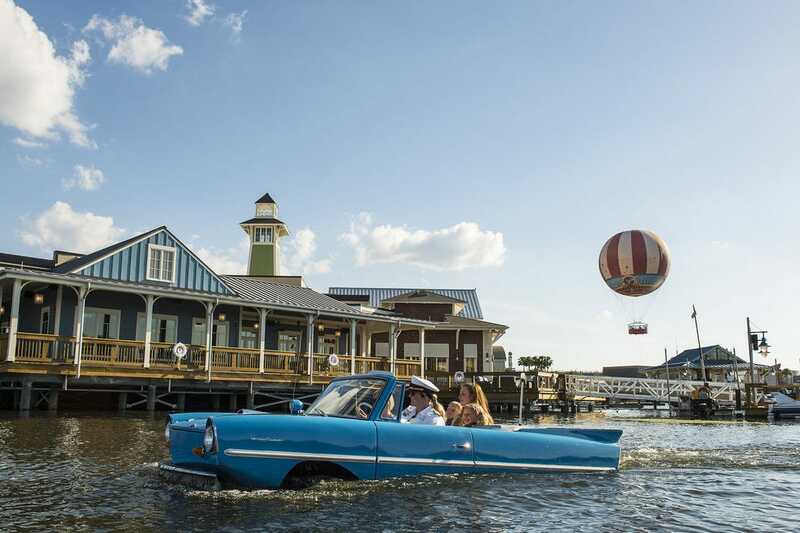 Whether or not you're up for a 20-minute Amphicar adventure, you shouldn’t forgo a glimpse as they ship out, rolling into the drink on proper tires and then, miraculously, veering away with a splash of Disney magic! Retail space resides inside the restaurant, as well, with a selection of tasteful, similarly themed merchandise. Think Disney meets Thurston Howell, III. Arguably, the real stars are those aforementioned poissons: glistening iced oysters, lobster cocktail and firecracker shrimp precede cedar-planked salmon or broiled swordfish. Those who prefer turf to surf won’t suffer, either, whether they choose rotisserie chicken or the buttery-soft meat of the long bone rib chop. 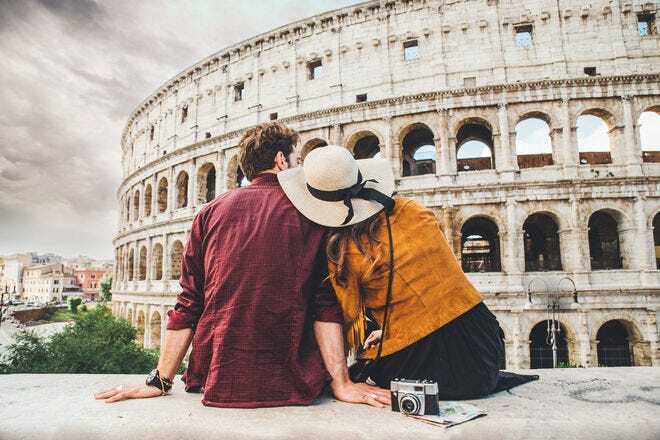 Don’t let the $115 price tag scare you too much; it’s an impressive chop meant for two with a skeletal, Flintstone-sized souvenir besides. Soon to join it: STK, a new high-end steakhouse, and the highly anticipated Morimoto Asia, a Japanese fusion venue with the star power of Chef Masaharu Morimoto behind it. Freelance journalist and native New Yorker A.D. Thompson hadn't had fried clams this good since her last visit to Randazzo's. Read more about A.D. Thompson here.